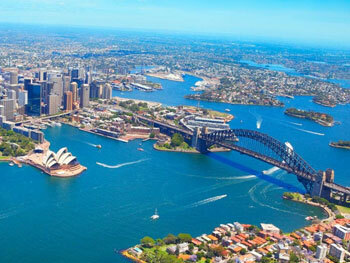 An English course in Sydney will introduce you to one of the most captivating cities in the world! 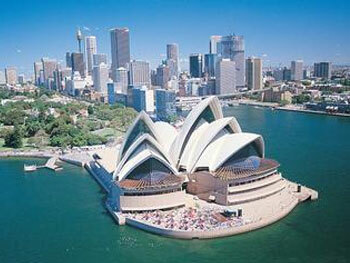 As the largest city in Australia, Sydney has nightlife, cultural attractions and cuisine to rival anywhere on Earth. What’s more, Sydney is home to countless beaches, including the famous Bondi Beach and the birthplace of surfing in Australia - Freshwater Beach. One of the first things you’ll want to do is survey the stunning views of the harbour, with the spectacular Sydney Harbour Bridge looming over the iconic shape of the Sydney Opera House. On the south side of the bridge is The Rocks, a historic neighbourhood known for its colourful market, traditional pubs and sophisticated restaurants. Just outside of the city you’ll find amazing National Parks, completing the picture of Sydney as a city that truly does have everything! Our Sydney English school occupies a modern building located just opposite Sydney’s oldest public parkland, the beautiful Hyde Park. The school shares its premises with La Trobe University and Western Sydney University, so you will have plenty of opportunity to meet and speak to English speaking, Australian students. 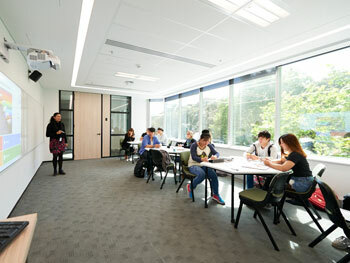 You’ll study in one of the school’s 16 classrooms, all equipped with interactive whiteboards. After class, perfect your English in the school’s library and resource centre. Students can also use the free wifi access available throughout the school or use the computers on one of the two computer laboratories. Learn English in Sydney at your own pace! Our school offers group-based courses comprising 16 or 20 English lessons per week. Each program covers speaking, listening, reading, writing and grammar, thereby improving your overall level of English. You can also choose to take a course of private lessons, which will provide personalised attention from your teacher and allow you to focus on specific areas of the English language. An excellent way to prove your level of English is by taking an examination in the language. 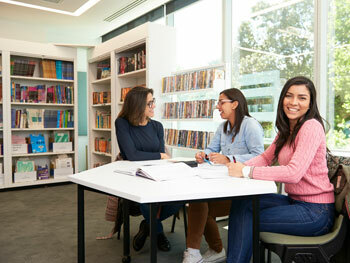 The school offer a preparation course for students taking the Cambridge Exam. For further information on an English course in Sydney, or in any of our other locations, please contact us. Live with the locals for a true taste of the Australian way of life! Our school arranges host family accommodation, either on a self-catering basis, or with two meals per day included. Your family will quickly make you feel welcome and will give you valuable English practice too. Another option is student residence accommodation, where you’ll share a bathroom and self-catering facilities with other students from the school. This is a great way to meet more people and make more friends! 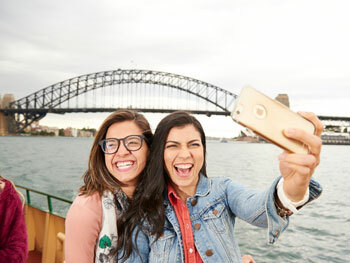 It’s important to us that you enjoy your English course in Sydney as much as possible, so our school arranges an exciting program of after-class and weekend activities. Take part in sports, socialise at barbecues, see the incredible Sydney Aquarium, relax with yoga sessions and enjoy the breathtaking views from Sydney Tower. Weekend excursions take you to places like the Australian capital, Canberra; the Hunter Valley wine region; the magnificent Blue Mountains; and Port Stephens, where you can go dolphin-watching! Sydney Airport receives flights from all over the world. Our school offers one-way or two-way transfers from the airport, at an additional cost.